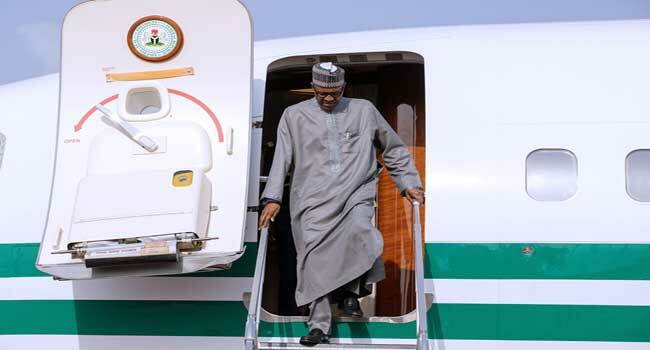 President Muhammadu Buhari has returned to the country after a two-day official visit to Morocco. 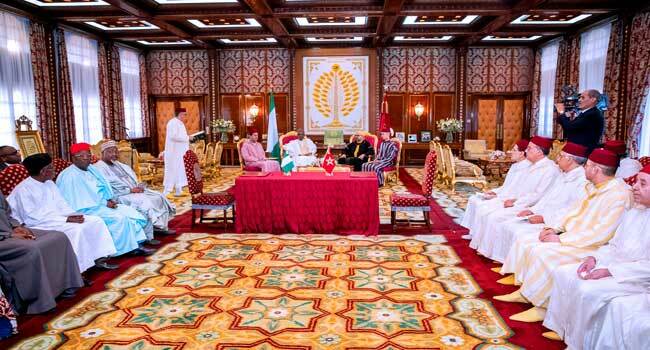 The President arrived in Abuja on Monday evening, one day after he left the country to meet with King Mohammed VI, at the invitation of the Moroccan leader. At the meeting in Rabat, both leaders reaffirmed their commitment to fostering deeper bilateral cooperation between Nigeria and Morocco, with the signing of an agreement on gas transportation to the North African kingdom along the Atlantic coast. They appreciated the significant progress in various areas of cooperation, such as agriculture, fertiliser production, energy infrastructure and mining. Also, at the meeting, King Mohammed applauded President Buhari performing his role as the African Union anti-corruption champion through his efforts in tackling corruption in his country. He also commended the efforts of the Nigerian President towards regional initiative against terrorism in the Lake Chad region. 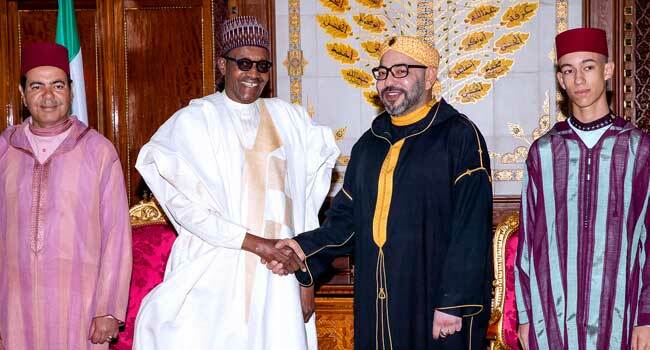 In return, President Buhari congratulated the Moroccan king on the election of his country to the Peace and Security Council of the African Union. He also praised King Mohammed for the successful completion of his mandate as African Leader on Migration Issues, which culminated in the presentation of the African Agenda for Migration and the creation of the African Observatory on Migration. “They affirmed their resolve to strengthen cooperation in efforts to combat radicalisation in Africa and beyond,” the communique added.